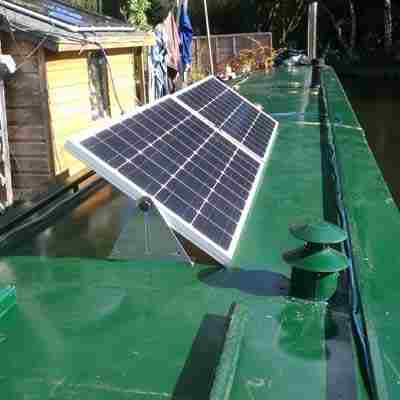 I hope this brief article has helped to explain something of what the solar energy applied to boats is all about. 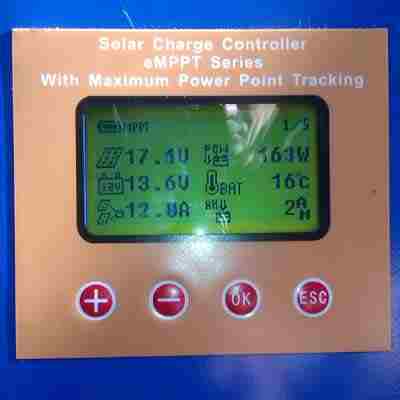 There are many pictures and lots of info on my web site www.onboardsolar.co.uk or please feel free to email me tim@onboardsolar.co.uk or call me on 07810 885734. If you’ve read through the posts on this site, you’ll know by now that I don’t think much of television. In my opinion it’s a waste of reading time, it’s a waste of time that could otherwise be spent enjoying the beautiful countryside that surrounds me and it’s a waste of what little electricity it uses. It kills conversation and deadens the brain. It makes vegetables of all who submit to its malign influence. You may be surprised to hear then that I’ve just joined the legions of couch potatoes up and down the land. I’ve had a television for a year or so but, until very recently, I haven’t used it as one. It’s sole purpose was to play the occasional DVD when I felt the need. Unfortunately (or fortunately as I happen to think most of the time), these days it’s not just my needs I have to consider. There are two of us now. Four, if you include two spaniels. Sally has been living on James with me for quite a while now. She’s not complained about the lack of television on the boat and because I’m male and quite dense sometimes, I didn’t once wonder what she might do to entertain herself during the endless hours each week when I’m working on the site. The penny finally dropped and I realised that I was being unfair. I have a television, a Logic 22″ HD ready make-your-tea-in-the-moring affair . All I needed was an aerial to go with it. I don’t like traditional boat TV aerials. The reason I don’t like them is because they tend not to be boat TV aerials. It’s not unusual to see a full size house aerial strapped to the side of the boat and towering above all around it. We have one or two around the marina which haven’t been fixed to the boat terribly well. At this time of the year (late autumn) when there’s plenty of gusty wind about, it’s not unusual to see an escaped aerial dangling over the side of the boat. We have televisions fitted in all the boats in the hire fleet at Calcutt. They have slightly more elegant aerials fixed to the roof. They can be quickly changed from receiving to travelling mode to prevent them from being ripped off the roof after making contact with any one of many low bridges around here. They’re still ugly. white plastic dome that sits on the roof. The aerial looks much better than the traditional scaffolding affair, doesn’t have to be bolted to the side of the boat every time you want to use it, and isn’t going to catch overhanging branches or low bridges as you cruise. It’s altogether a better bit of kit. 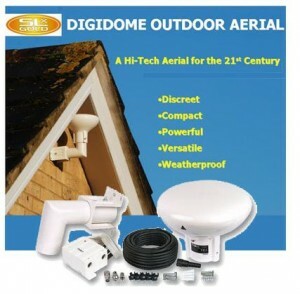 It’s the Digidome SLX Gold. I fitted one to James a fortnight ago. Actually, I didn’t. Russ, my boat’s guardian angel and all round narrowboat expert, fitted it for me. He told me it was a simple job, and for most normal males I suppose it was, but it involved cutting a but out of the bracket so the aerial would sit flat on the roof. 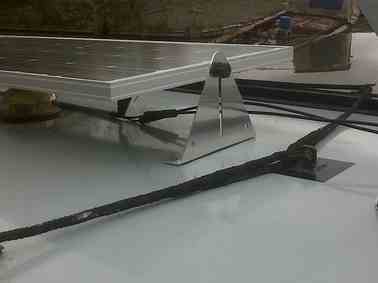 Fitting the aerial, plus the modification took Russ all of fifteen minutes. What a difference it’s made to life in our cosy little boat. The television now picks up over one hundred rubbish broadcasting channels. We have more mind numbing tedium on tap than we can ever hope to watch, and all with a crystal clear reception thanks to Digidome. I’m just off to watch a bit of Jeremy Kyle! Is life really so bad Natasha? I came across the article below yesterday. It was published recently in the online version of the Uxbridge Gazette. It’s a new blog by reluctant narrowboat liveaboard Natasha Gorbert-Hopkins. 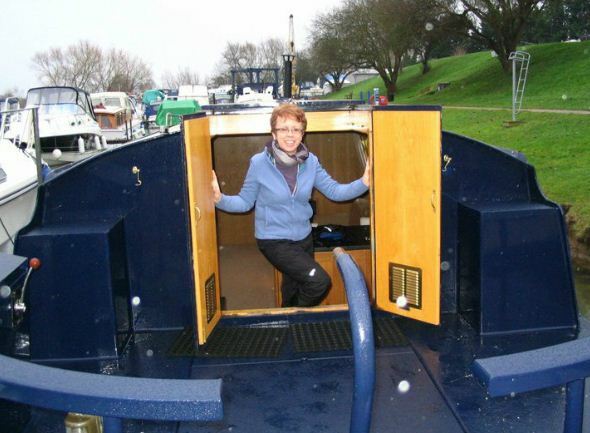 What do you think of her take on life on a narrowboat? 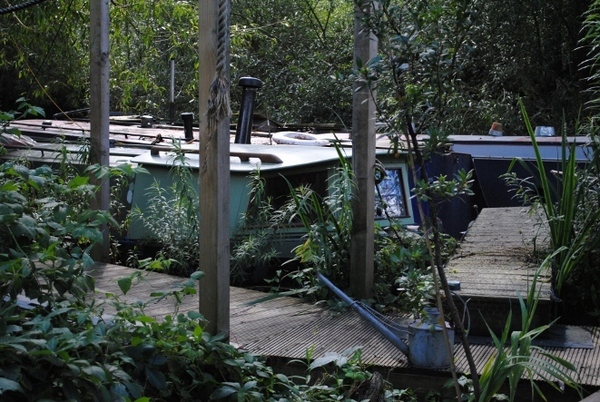 LIFE on the canal in Uxbridge – a dream for some, definitely not the lifestyle choice of others – is brought to life in our new blog, The Narrow View, by boat dweller Natasha Gorbert-Hopkins. SAY the word ‘boater’ and most people think of Rosie and Jim, old men with beards and folk festivals. If they think of anything at all, that is – living on a narrowboat (the long, narrow boats that ply the canals of Britain) is hardly the most common or widely known lifestyle choice. As a 22 year old female, I’m not really your typical boat-dweller. I’m not really the most enthusiastic boater either: my parents decided to turn to the waterways when I was just a twinkle in their eyes, and – except for a three year stint at university – I’ve been more or less forced to live on them ever since. 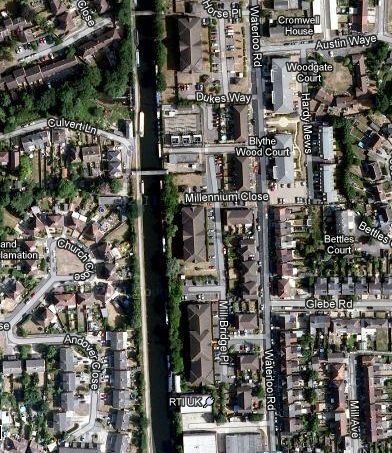 Nevertheless, home for me has always been on the Grand Union Canal, in the stretch between Cowley Lock and Uxbridge Lock. The towpaths, the trees, the neighbours are as familiar to me as I’m sure roads and estates and front gardens are to people who live in houses. The canal was where my mum brought a chubby-faced baby version of me home from the hospital, the background to my childhood games, the waters that I stared gloomily into in fits of teenage angst. Until the age of eight, I shared a boat with my parents; when my father moved out, he didn’t stray far, moving on to a narrowboat 10 minutes down the canal. At the age of 16, the fleet expanded further and I moved into my own boat, aptly named Freedom. This was my beloved home for the next six years, until only a few months ago, when it was sold and I had to – dramatically, tearfully – move out, and begin sharing my father’s 62ft long, 6ft wide narrowboat. That might sound like a lot of room. It is not. My cries of: “Oh no, I have to live in a cupboard!” were probably heard reverberating down the canal for days afterwards. If I was 10, I would have been excited that I finally had something in common with Harry Potter, but unfortunately I’m 22 and can say for sure that my Hogwarts letter is not in the post. Sharing such a small space with my dad, at an age when, let’s face it, I really should have moved out, has been challenging. Don’t get me wrong, there are positive aspects to living on a boat. There are also a whole host of negatives. I will try to provide a balanced, realistic and insightful look into narrowboat life: I’ll try to cover some of my FAQs – How do you get water? Do you have electricity? – as well as some aspects that landlubbers (we don’t really call you that) might not have considered. Next time: The difficulties of tall boyfriends, the complications of no electricity, attacks by swans, and the infamous – the dreaded – chemical toilets. What do you think of that then? Has the article put you off living afloat? I certainly hope that it hasn’t. Natasha has lived all of her life on a narrowboat. It’s all that she’s known. She appears to have been on a static mooring for all of her twenty-something years, and static, as far as I’m concerned, in one of the worst places in England to live on a narrowboat. The Grand Union canal runs through Uxbridge on the west side of Greater London. She lives on the stretch between Cowley Lock and Uxbridge lock. The caal there is in a densely populated area just a stone’s throw from the infamous M25. One of the great advantages of living on a narrowboat is your ability to get away from the noise and polution of city life. Natasha lives within half a mile of one of the busiest roads in Europe with an estimated 196,000 vehicles using the section near Heathrow airport, which is very close to Uxbridge, every day. Uxbridge is also within the Greater London sprawl with its population of 8,000,000 hyper-active and highly stressed souls. Why on Earth would you choose to live on a narrowboat there? I think that choice is probably the issue with Natasha. She couldn’t choose to live elsewhere when she was a child. She had to live with her parents, or at least with her mother, during her formative years. From a child’s point of view, I can imagine that there are few advantages to living on a narrowboat. Space is of course an issue. Space is what teenagers crave, and there’s very little of it on a narrowboat. That’s why you see precious few families living on narrowboats. Ocasionally, very ocasionally, you will come across a couple with one or two very small children on a narrowboat, but the majority of liveaboards are single or couples. Natasha enjoyed a spell on her own boat but now, at the age of twenty two, she’s moved onto her father’s narrowboat. You can almost feel her frustration as she writes her article. I can’t wait to see what she has in next week’s installment. She promises to try to “provide a balanced, realistic and insightful look into narrowboat life” She needs to try harder on the balanced bit as far as I’m concerned. I love life on a narrowboat but there are those who prefer the extra three or four feet in width that a widebeam offers. Paul and Allayne Roper fall into that category. Here’s what they think of life afloat… and how Allayne’s cancer affects their way of life. We are Paul and Allayne Roper and have two cats Pandi and Phoenix – our family. My husband wanted a change of lifestyle and his love is the sea and always wanted at some point to live near the sea again. A friend of ours heard about Paul’s interest and as he lives on a narrow boat, he asked us down to view his and it all took off from there. We do not regret our life on our wide beam one bit. Our boat’s name is Mischief. It was already named but we felt that this summed us quite admirably and the cats too, being such adorable mischievous fellows. Yes we do have a permanent mooring. We were not up for continual cruising as this would not be helpful for my husband’s work or my own. Having a permanent mooring, wherever you are in the country you at least know the mooring is yours. Fees vary from marina to marina but it’s where you want to be that counts in the end and what you can afford. Our boat is 60 ft long and 11 ft wide. How long have you been a boat owner? We have been on our boat for just over a year now and my husband took to it like a duck to water. The selling of the house helped finance the purchase of the boat and left us with money over to help with the survey, blackening of the base of the boat so it worked out well for us. We live on the boat all the time 24/7, with the exception when we go away on short breaks or vacation. Unfortunately not at the moment, as I have been diagnosed with terminal cancer of the breast, spine and liver. My husband works, as he is self-employed. What do you like least about widebeam life? Knowing how best to stop the spiders taking up home everywhere you look!! What do you like most about widebeam life? Moving the stove from where it was position to near the kitchen so when the eco fan is in motion, it circulates the heat more fully around the boat. We are lucky where we live as there is a mooring on the river for Tesco’s and if needed you can moor you boat by the bank and walk through. We have a washing machine on board the boat if it was necessary to do washing, otherwise, we would go to a launderette or wait until we got home to use the facilities in the marina. We have a normal toilet on board our boat with its own tank which resides under the wardrobes in our bedroom. We usually have to do a pump out every 6 weeks. We also have a portable chemical toilet for winter use if we are unable to move to do a pump out. We initially used a fob to connect to the internet but this was not always brilliant as we are in a steel boat so reception was not always consistent. As we now have a landline, we have broadband now which is great and is like being in our old house. We have not travelled too far at the moment, being novices to the water but down to Henley-on-Thames is a nice journey, through Sonning and all. We do have in mind to travel further but with my cancer, it is difficult. 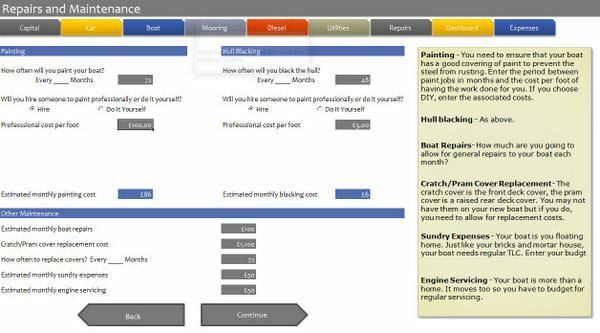 How warm is your boat in the winter? We have both, diesel central heating and a multi fuel stove burner which burns both coal and logs. Once you get the understanding of how your stove works, its is brilliant in keeping your boat sweet and cosy. 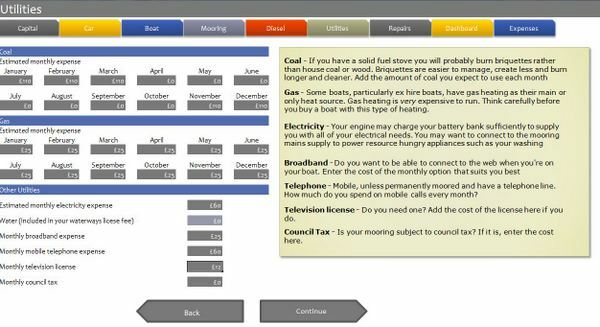 What advice can you offer someone considering living on a boat? Visit the Crick Boat Show for a one on one with all the information Crick has to offer. 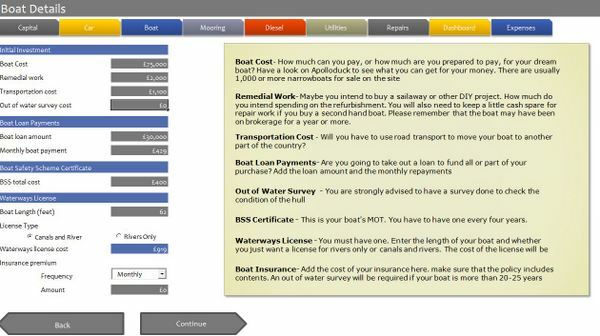 Search the web, talk to friends and visit as many boats as you can to get an idea of what you really want from your boat. 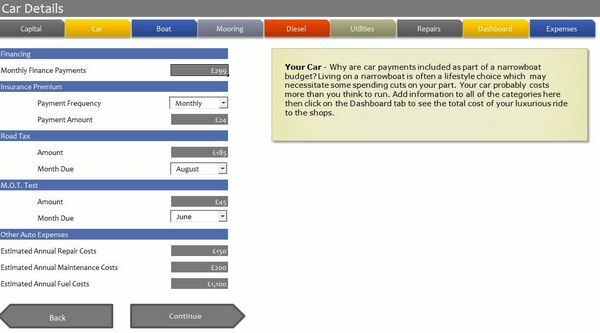 You need to view narrow boats, wide beams, barges and cruisers to find out what is really for you. You will know when you go on board if it feels home to you or not. We went for a wide beam because we enjoy the extra space. 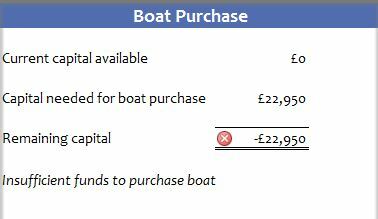 Buy a 2nd hand boat first to see what you like and dislike about it before thinking about buying a new boat. Here’s another case study of a couple living in harmony together… on separate boats. John and Lowrie offer an outstanding example of what you can do if you can’t find a decent residential mooring. In this case they built one of their own. John and Lowri Keyes, Goldie the Ridgeback hound. I purchased my ship in 2001, because it was the only form of housing I could afford at the time for myself and my two children that would enable us to live in Oxford, and because I had always wished to return to the life afloat since my first job after leaving school, living and working aboard a 50’ prawn trawler in the Isle of Man for a year 1975/’76. My wife bought her 30’ Springer in 2003 whilst studying for her PHD, again because of the affordable housing matter. We met whilst fixing our boats up at Castlemill Boatyard, Jericho. Yes. September 2004 we arrived at a piece of waste ground and sometime allotment on a backwater of the Thames, because of the pressures being brought to bear on the above mentioned and now derelict boatyard by the then owner, BWB. In December 2005 we obtained planning permission to create this residential boat marina from the local Council, most kindly assisted by the Environment Agency. 70’ narrowbeam Barry Jenkins “Icebreaker”, 30’ Springer. 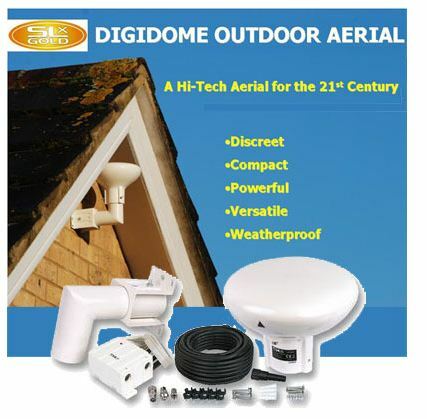 Magmount aerial on steel roof groundplane attached to USB wireless dongle. Service is now adequate except in really wet weather, notwithstanding a passionate dislike for Orange and all their works! Many, but I would say the woodland stretch by Kirtlington Quarry on the South Oxford, but generally we prefer the River Thames all the way from Lechlade to Limehouse Ship Lock. Small amount from PV powering completely separate system that runs the water filtration and delivery plant, rest is by means of small modern diesel generator. 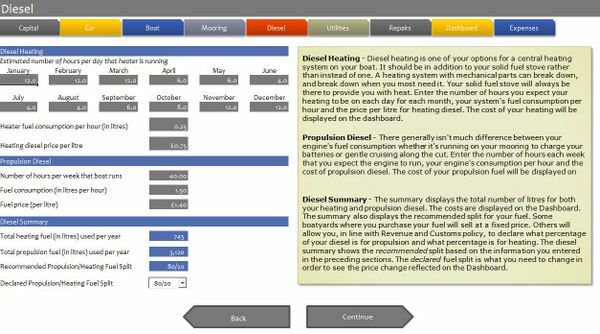 I have never got around to measuring KWH/Litre performance, but a Master’s Degree final year student carried out a study on the carbon footprints of our boat and others in 2005, revealed that centrally generated mains hook-up is considerably greener than making one’s own electricity from fossil fuels. IE a smokey 33Hp Lister TS111 driving an automotive alternator through an old-fashioned voltage regulator is not a satisfactory way to create domestic power, unless you happen also to be using your engine for propulsion, and be cruising along all the time. Constantly cruising is not compatible with going out to work in one place – but fine if you are retired or possessed of a job that pays you to work from home wherever it might be.. It is a major commitment, like marriage, and accordingly I would counsel any prospective boater to look well beyond the initial romantic attraction to the practical nuts and bolts, as well as the politics. 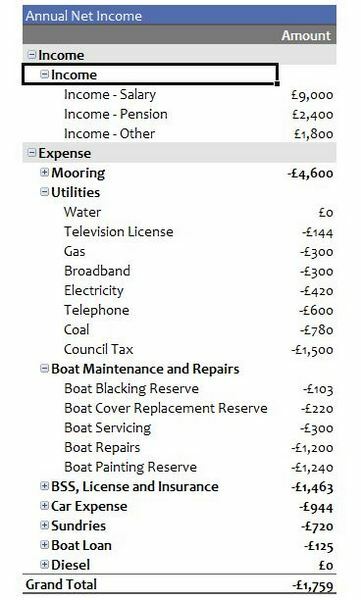 Do not buy a cheap boat and expect to be able to do it up whilst living on it, and trying to earn a living at the same time. Consider the politics. The politics of a liveaboards’ experience of whatever waterways or other authority their patch might be managed by will be as much of a determining factor in the quality of life afloat on the inland waterways, as all the enabling technologies put together.